The various career paths and choices in the Finance world. Qualities that distinguish successful financial executives? The technical requirements, skill sets, and prerequisites to be a successful financial executives. Is it excellence, excitement, analytics, knowledge, networking? Advice on navigating your career in finance- be it transitions, market dynamics, and more. Kim is a CPA with more than twenty years of experience in software, services and healthcare enterprises. She is currently CFO of Connance, a leading growth-stage healthcare IT company. Prior to joining Connance, Kim held leadership positions in companies such as Sodexo, Philips Medical Systems, WPP Group and Kewill. She is a graduate of the University of Massachusetts at Amherst. Kim is a member of Launchpad Venture Group, providing angel investing and advice to early-stage companies. She contributes to E for All, a new business incubator focused on accelerating economic and social impact through entrepreneurship in mid-sized cities. She also volunteers in industry activities, such as the MIT-Sloan CFO conference, and as a speaker or panelist on a variety of finance related topics. Kimberly A. Train is a Partner in the Commercial Business Group and has twenty years of financial advisory experience serving public and privately held companies. Kim has significant experience managing litigation support and forensic accounting engagements for a wide variety of clients. Some of the subjects that she has consulted on include complex accounting, fraud and forensic investigation, business valuations, business interruption, breach of contract, economic damages, lost profits, and arbitration. Kim assists legal counsel in analyzing various accounting, financial and valuation issues in support of shareholder, solvency, and contract disputes as well as other litigation matters. In addition, she has provided investigative accounting services to numerous clients, both publicly and privately held, in the for‐profit and not‐for‐profit sectors, and in the construction, financial services, private equity, service, and manufacturing industries. Kim is a graduate of Babson College with a Bachelor of Science in Finance. She also has a Master of Science in Finance from Boston College. 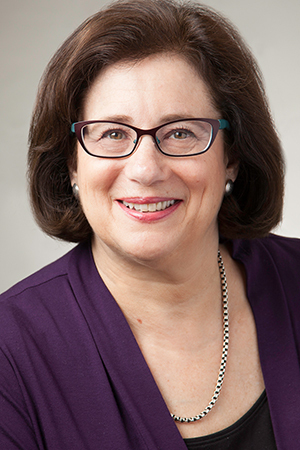 Pam Hoffman is the executive director of The Midas Collaborative, a nonprofit focused on helping low- and moderate-income people achieve financial security. Pam is a passionate problem solver with over 20 years of experience in the corporate, nonprofit and municipal sector and has helped organizations to increase their effectiveness and improve their operational performance. As a management consultant, she guided nonprofits in developing strategy, business plans, and implementation plans, helping them fulfill their goal of creating enduring social impact. As a designer and facilitator of small and large-scale meetings, Pam is committed to building community by bringing disparate stakeholders together and helping others grow personally and professionally. Pam started her career in software sales and marketing where she excelled in guiding her domestic and international customers to be successful. In her hometown of Lexington, MA, Pam is currently an elected Town Meeting representative and has served on the Appropriation Committee. She is a longtime community advocate and organizer with a focus on education. Pam is a member of the Cary Memorial Library Foundation Board and the Advisory Board of Girls at Work, Inc. Pam received an MBA from the Tuck School at Dartmouth College and a BA from Wellesley College. 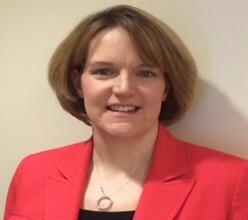 Maureen is Manager of the Boston Private Kendall Square Office. She has been with Boston Private for 15 years. Maureen has been in private banking for over 20 years. Most of her experience involves working with retail and commercial deposit clients. Prior to Boston Private, Maureen worked with Fleet Bank, US Trust, and Citizens Bank. 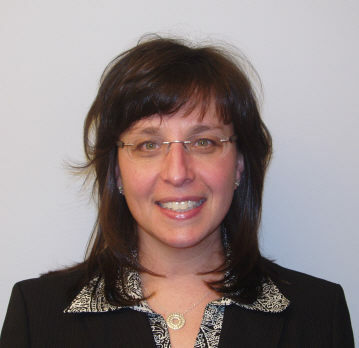 Maureen has a BSBA from Northeastern University with a concentration in Marketing. Kerri Casarano is a Finance and Accounting professional. She is currently employed by Kforce, a professional staffing firm specializing in the placement of Finance and IT professionals in the Boston area. Kerri works with clients to help determine staff augmentation needs to offset demands due to projects, initiatives, and employee gaps. Prior to Kforce, Kerri spent 15 years working for the State of Massachusetts in the affordable housing space as a Finance professional. REGISTRATION is open now! $15 for BWF members, and $30 for non-members. Lunch is included!